Looking After Your Whole Family! Why Consider a Family Focused Dentist? With so many options available where it comes to providers of dentistry, you may be wondering why family practices are so popular. Let’s begin by understanding what a family dental clinic is, and how it differs from a traditional, or general, dental practice. Family dentists and general dentists have many similarities in their offerings, since both are trained to handle a variety of presentations in their patients’ oral health. But did you know that family dentists not only treat kids but every other member of the family (except Fido), too? Family dental clinics are unique in their ability to offer expert care and management of dental concerns from the youngest baby to adults and seniors, too. Family dentists take a unique interest in offering comprehensive treatment to members of every demographic. That means that clients of every age can be seen at a family dentist without feeling concerned that they will be sacrificing quality in their care. This is because family dentists take an interest in managing their client’s dental needs for the long term. We enjoy meeting our clients for the first time at any age, and we endeavor to continue to be their provider of choice into adulthood and beyond. Since family dentists care deeply about long term continuity of care, it’s important to us that we get to know and understand the unique needs of your unique family. 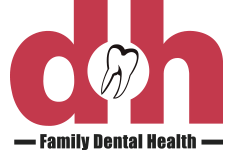 A comprehensive understanding of your family’s medical history, as well as any genetic circumstances, behavioral considerations and preferences go a long way in assisting your dental team in anticipating and meeting the needs of each member of your family. Expecting mothers enjoy patient education and dental care that is focused on promoting the dental and overall health of both her and her child, while growing families benefit from the dental team’s established and cumulative knowledge gathered about their family’s dental needs. Doesn’t everything just feel better when everyone knows your name? At Family Dental Health, we appreciate the opportunity to greet our young visitors (and all of our visitors) by name. We mention our young visitors because we understand the apprehension that can be felt by some of our young clients as they begin to form an understanding of their relationship with their dentist and what they can expect while they’re with us. Our dental team is skilled at ensuring the comfort of our new visitors, working to provide a positive experience for every member of your family. Whether your child is apprehensive and unsure, or ready and excited for their first dental visit, we are positioned to offer an experience that will foster trust and calm. We offer brief first examination appointments as well as extended appointments for those patients who require a few extra minutes to feel safe and comfortable in our environment. We take steps to provide a visually appealing office space that appeals to the imagination of our younger patients, and we offer opportunities for distraction during procedures (such as television). For patients with sensory challenges, we take steps to minimize bright lights, loud noises and strong odours wherever possible. We are a family focused dental clinic located right here in Whitecourt. We look after the oral care for your whole family! We are passionate about providing oral care to everyone in your family from the youngest to the oldest members. We recognize that anxiety in children and adults is not uncommon, and we pride ourselves on using our bedside manner and practical techniques to assist in helping each of our clients settle in at the dentist. For situations requiring additional assistance to achieve a healthy and productive level of calm, we offer oral sedation. Oral sedation has been used extensively in both the medical and dental professions to successfully manage patient anxiety with safe and positive results. With oral sedation, patients remain conscious and responsive throughout their dental procedure, but will feel their anxious symptoms decrease. 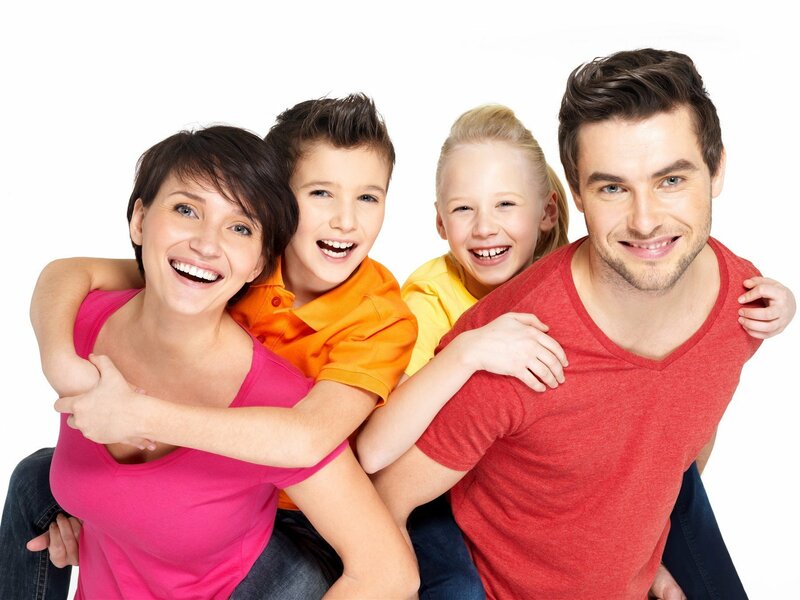 At Family Dental Health, we understand and respect the scheduling demands of families. While we happily accommodate independent appointments, we also offer group appointments. In a group appointment, each member of the family can be seen for their routine checkup and cleaning in succession, avoiding multiple appointments and time missed from work and other responsibilities. We care about the families that we treat, and that’s why we strive to maintain cutting-edge insight and understanding of any new developments in dentistry and dentistry-related health concerns. As science grows in its understanding of the teeth and their relationship to the rest of the human body, it is critical to partner with a dental professional who appreciates the relationship between teeth and health. With expert care, and oral health education we meet the needs of our valued families. With a family dentist on your family’s team, you are sure to get your best shot at a winning smile. Call to visit our dental clinic in Whitecourt today and let us show you how family dentistry could benefit your family! All services performed by a general dentist.